Happy Family On Vacations Illustration Flat Design. 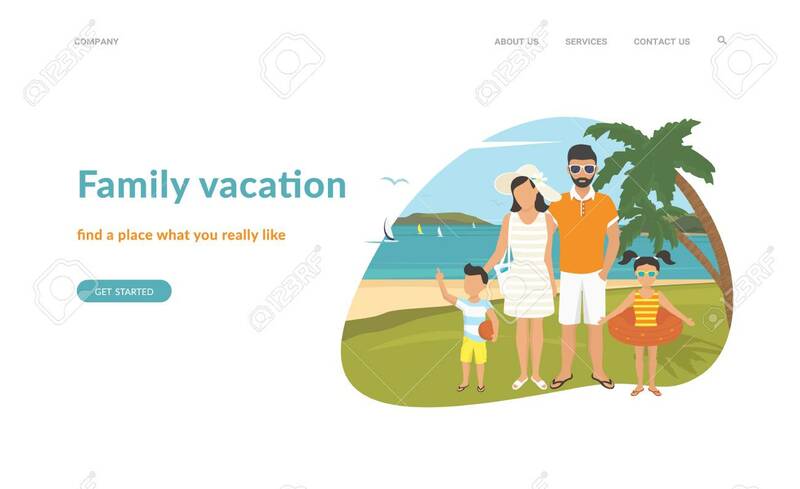 Flat Concept Vector Website Template And Landing Page Design Of Parents With Kids In The Tropical Beach Near Blue Sea And Two Palm Trees Behind Them Lizenzfrei Nutzbare Vektorgrafiken, Clip Arts, Illustrationen. Image 115007237.